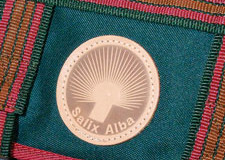 I founded Salix Alba in 1989. 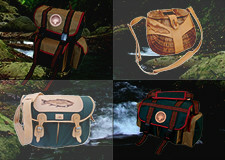 The first designed crossbody tackle bags, fishing bags and travel rod cases were made from natural tarpaulin and leather. In 1992, the first collection of several patterns made of Cordura, a type of synthetic fabric, was prepared. It was the first time I presented a fishing wicker basket with liner and a backpack with a thermal insulated pocket, which was awarded with the prize called “The Golden Scale” at the Angling Fair in Warsaw. Good reception on the market has brought more attention to the needs of fly fishing and spinning. Further designs of wicker baskets, wobbler cases, spinning belts, rod cases, etc. were created. The use of new colours – brown, green, claret – was perfectly accepted by anglers and today these are our “brand colours”. I pay special attention to exclusive leather products and wooden landing nets. Currently, Salix Alba manufactures more than 30 different models for all angling disciplines. All the products are produced exclusively in Poland. I encourage everyone interested to make a purchase in our online shop. Since 2008 I have been offering services in the field of angling tourism, mainly based on the sections of catch & release created on the following rivers: the Dunajec, the San, and recently the Raba. I organise seven-day holidays in Poland for fly and spinning anglers; providing comfortable accommodation, excellent food, transport, licenses and a guide. Apart from group fishing trips, I also carry out individual, often family fishing tours. What is more, I comprehensively present the region, which is allowed by my geographical education. Everyone eagerly tries regional dishes, listens to traditional, folk music, gets to know people and their customs. I believe it is a fundamental element of a successful holiday, highly appreciated by foreign anglers.